The first thing you see when you walk in our office is a beautiful arrangement of fresh flowers. We think that greeting our patients with flowers says a lot about who we are – our caring attitude, our attention to detail and our desire to make life more beautiful for our patients. But flowers aren’t the only things you will notice when you come for a visit. Everything about our office is created to put you at ease. Our office is meticulously clean. The décor is tasteful and professional, and our staff is welcoming, compassionate and friendly. 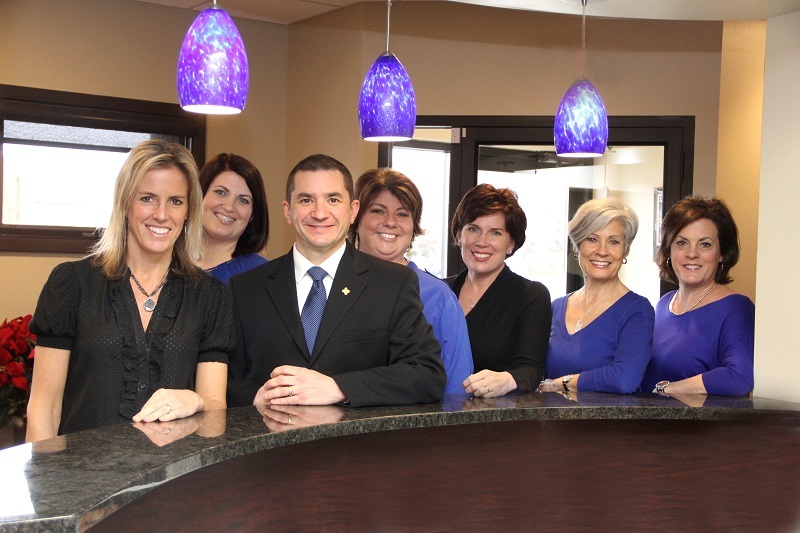 We respect our patients and always strive to provide the highest quality care in an atmosphere of mutual trust. Because of this, most of our patients come to us through word-of-mouth referrals, and we often treat many members of the same family.